Blessed Protein is a protein powder supplement made by Clear Vegan. It’s a vegan pea-based protein, designed to improve muscle growth and recovery. Clear Vegan is a sister brand of EHPLabs, a popular American supplement Company. Pea protein is one of the most popular plant-based proteins for bodybuilding and fitness. It is one of the few plant-based proteins which contain similar branched chain amino acid (BCAA) levels as whey protein (1). These BCAA levels are important, as they’re the amino acids which are most impactful on muscle growth and repair. Athletes wanting a natural, effective, plant-based protein for muscle recovery and growth will enjoy using Blessed Protein. Mix 1 scoop (32g) with 250mL water or milk, and consume either post-workout or as desired. Tubs only come in small sizes. 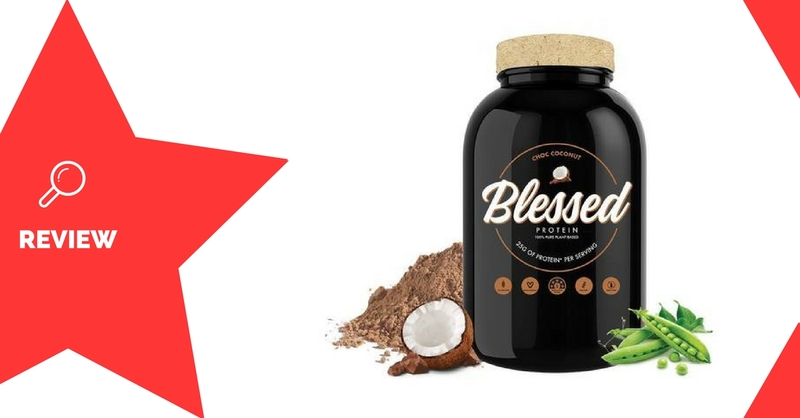 Blessed Protein is a great vegan alternative to whey or other protein powders. It contains all-natural ingredients, including natural flavours and sweeteners, which is a huge plus for those who are health-conscious. Being pea protein, you won’t have to worry about missing out of precious BCAAs as you may with other plant-based protein powders, and the reviews on taste are great. The tubs are somewhat small, however, maxing out at 2lb (about 1kg) tubs.